Mark Zauss - Mark Zauss, Trumpet Player, Psychotherapist, Clinician, helps trumpet players with Stage Fright, trumpet performance anxiety. 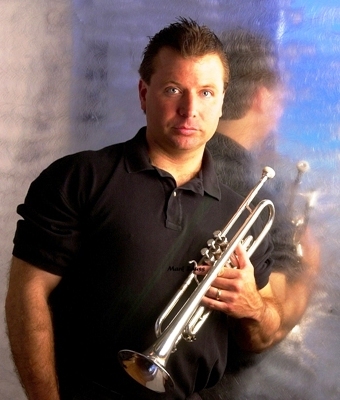 Mark is internationally recognized as a trumpet soloist, clinician and recording artist. He is a full time trumpet player for Walt Disney World at the Magic Kingdom with the Main Street Philharmonic. He also performs over 100 events annually with his own bands. Mark is also a artist for the Schilke Corporation for his trumpet and Warburton Music Products for his mouthpiece. Mark is a double board certified, nationally certified and a licensed clinical psychotherapist with over 30 years experience as a professional trumpet player. He performs and gives clinical seminars throughout the continental United States and worldwide. Mark’s experience as a performer combined with his formal training as a mental health professional gives him a unique perspective as an educator. As a musician, Mark performs a wildly diverse spectrum of musical styles including: be-bop, straight ahead jazz, big band, Dixieland, commercial, and studio lead trumpet. His professionalism and good nature enable him to reach across any boundary to effectively educate and inspire any audience. Mark also helps others overcome stage fright and performance anxiety. Mark is available for online trumpet lessons as well as helping others with issues of performance anxiety. Mark is available as a guest soloist, clinician, and as a private trumpet teacher via studio, via web cam, or phone consultation. You can contact Mark to arrange a consultation. Mark helps with issues of performance anxiety, stage fright, and overcoming barriers that prevent performance. Mark custom designs each clinic or masterclass to fit the need of the students. For more information contact Mark today. Mark has been helping professional trumpet players who want to play upper trumpet in the upper register. Mark's helps others improve upper register playing and improve ability to play high notes. High note trumpet, high notes, screaming trumpet, upper register. Mark offers help to musicians with stage fright and overcoming anxiety when performing music. More terms to describe Mark include, musician stage fright, trumpet performance fear, fear of live performance, fear of performing live. Additional search terms used to find Mark's page include, High note trumpet players build range, range builder, upper register trumpet players, upper register trumpet player, double c, screech trumpet player, double g, and scream trumpet recordings. Trumpet issues discussed include: mouthpieces, range, practicing, lip buzzing, recordings, trumpet methods, equipment, high notes, upper register development, warm up routine, trumpet scales, lip slurs, and psychological approaches. Trumpet lessons, online trumpet lessons, online webcam trumpet lessons, and trumpet techniques are discussed. Online Trumpet lessons cover the following topics: trumpet, trumpet playing, trumpet books, Stevens, Superchops, Maynard Ferguson, mouthpieces, Bach, Bill Chase, Callet, Schilke, Doc Severinsen, Yamaha, Maggio, embouchure, trumpet books, trumpeter, trumpeting, Marsalis, and Louis Armstrong.